Lorhill Farm has been selected as one of the five farms in this surrounding area to take part in John Deere’s Part Time Producers Project. We are very excited about what we will all be able to accomplish through this project, and what we will get to share. So a quick run down of what this entails. Until mid November we will be recording short videos (on our fancy mini IPad, that they have lent us 🙂 ) of ourselves doing our regular chores on the farm, and sharing about what and why we do the things we do. But, the coolest part of it all is that there is now a 3038E John Deere tractor at Lorhill to help us do our chores, and to help us accomplish some much needed improvements and changes. 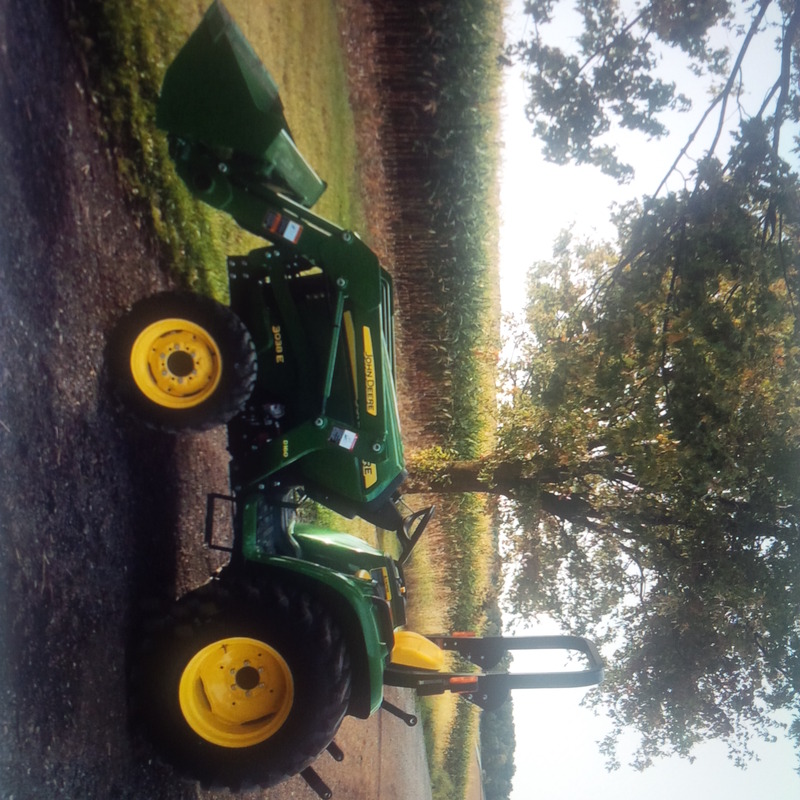 John Deere Canada ULC has provided us with all of this equipment so that we can more efficiently get things done on the farm, and to show how easy and effective this equipment is! We are quite honoured to be part of this project, and look forward to seeing what all comes of it.